Tom is no novice when it comes to handling healthcare and life science matters for all his clients. 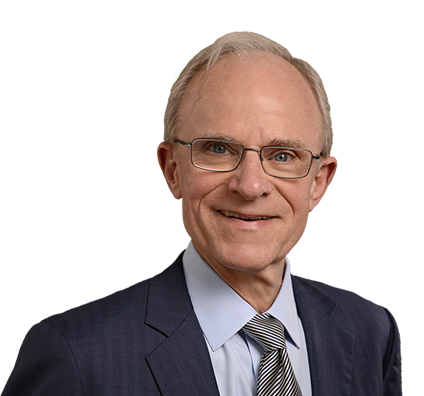 In addition to handling a variety of industry matters, Tom has authored several publications on healthcare fraud and abuse, including the Anti-Kickback Law, Stark II, Medicare enrollment, medical malpractice, patient confidentiality, managed care and other health law topics. Tom also has spoken at seminars sponsored by organizations including American Health Lawyers Association (AHLA), Hospital and Healthsystem Association of Pennsylvania (HAP), Missouri Health Care Association (MHCA), Missouri Radiological Society (MRS), Missouri Association of Osteopathic Physicians (MAOPS), Missouri Dental Association and Missouri Coalition of Community Mental Health Centers (MOCMHC). Prior to entering private practice, Tom served as Missouri Assistant Attorney General under John Danforth from 1969 to 1973. Represented a major national healthcare provider in connection with conversion to private ownership in a transaction valued at over $5 billion. Represented clients in the purchase and sale of long-term care facilities and other healthcare providers with a value of more than $174 million. Represented a healthcare provider in obtaining certificates-of-need for projects with a value of more than $37 million. Represented healthcare professionals and others before their state licensing boards, including physicians, dentists, pharmacies, pharmacists, nursing home administrators, land surveyors and others.